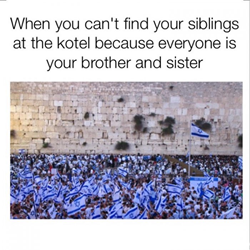 The Adam and Gila Milstein Family Foundation announced the winners of its meme competition after over 110 people on six continents submitted over 300 pro-Israel memes. One of the winners of the Milstein Meme Competition. Over the course of 14 days, more than 110 people from a dozen countries on six continents submitted over 300 memes, which received over 16,000 votes during the weeklong voting period. The Adam and Gila Milstein Family Foundation today announced the winners of its worldwide competition for the pro-Israel memes. Over the course of 14 days, more than 110 people from a dozen countries on six continents submitted over 300 memes, which received over 16,000 votes during the weeklong voting period. 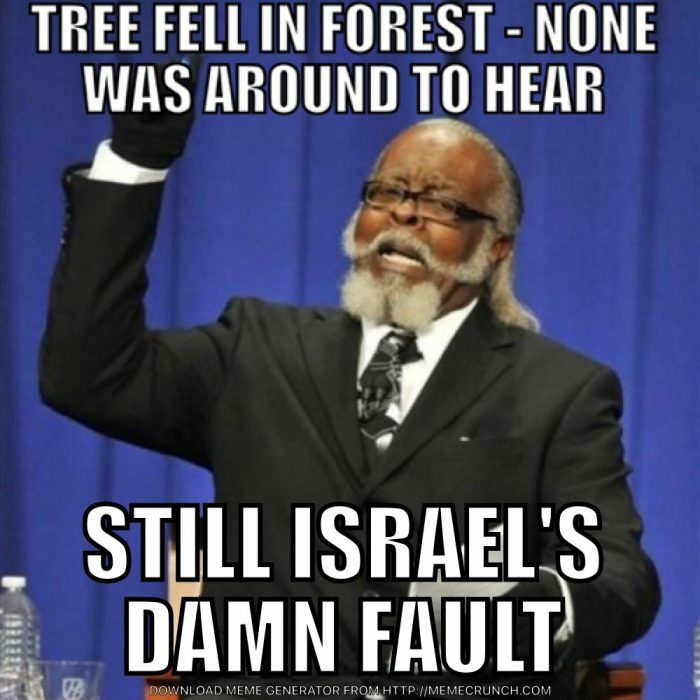 Others emphasized the antisemitic double standard applied to Israel, such as one that shows the leader of “The Rent is Too Damn High” party with the text, “Tree fell in the forest – no one was around to hear. 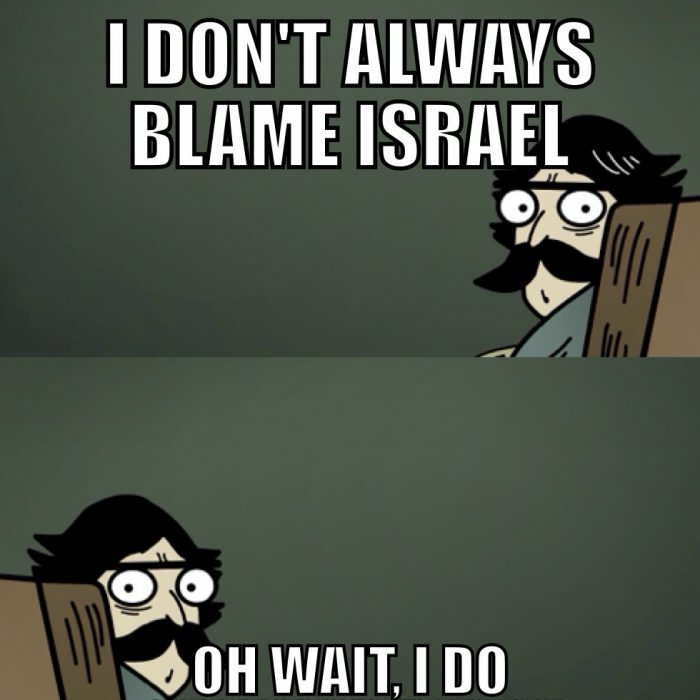 Still Israel’s damn fault.” Another was a comic of a man saying “I don’t always blame Israel” in the first panel and, “Oh wait, I do” in the second panel. 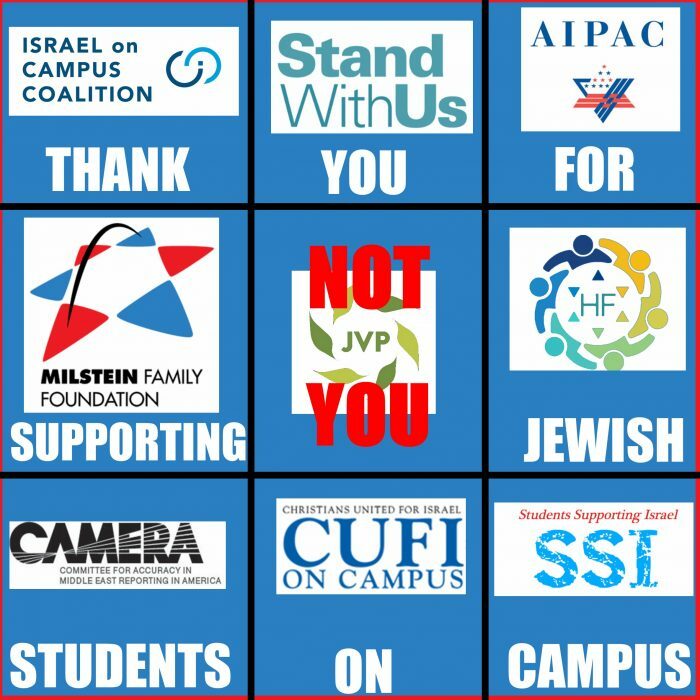 Another winning meme was a variation of an incredibly popular meme showed a tic-tac-toe-like square of eight Jewish non-profit organizations, including the Milstein Family Foundation, with the text in each box saying “Thank you for supporting Jewish students on campus,” with the middle square saying “not you” in red text over an anti-Israel organization. The contest opened to submissions on Aug. 28, the voting period began Aug. 3 and both submissions and voting closed on Aug. 14. Each participant was allowed to submit up to five memes, and the public voted on memes by clicking Facebook “reacts” — like, love, haha, sad, wow or angry. The final winners were chosen by a panel of seven college and high school student activists. A total of $2,000 was awarded to the 18 contest winners. The Milstein Family Foundation partnered with more than a dozen Jewish and pro-Israel organizations to sponsor the contest. To see all the submitted memes, go to http://www.milsteinmemes.org.